Suspended Memory is part of a series in which I am exploring the ideas of soundscapes, nature, and form. This work spawns from a memory of an environment that once engulfed my presence. As time goes by and memories are warped, my memory has transformed the figures that I encountered within the swampland. It is as the landscape absorbed their form. With this installation, the viewer may experience a glimpse of time where I encountered moments of tranquility, reflection, preservation, memory, and growth. Suspended Memory also explores the idea of sensory art. In my current studio practice, I am exploring the actions we have when we use our five senses. With this series of soundscapes, I am using sound to provoke the experience the viewer has with the installation. The Wiregrass Museum of Art has been a part of my life since I was in middle school. I grew up in Dothan until moving off to the University of Alabama at Birmingham in 2013. I moved back to Dothan after receiving my Bachelor of Fine Arts degree in 2017. 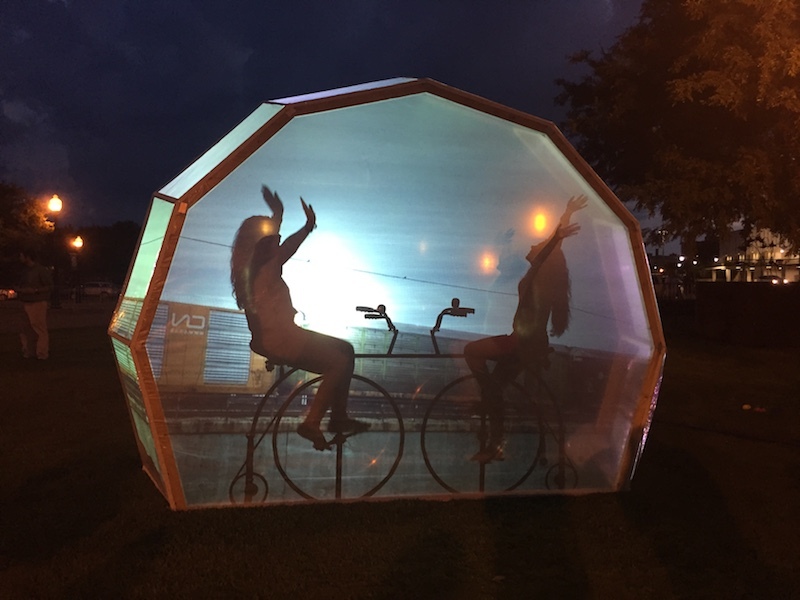 Stacey Holloway and I were invited to share our interactive installation Magnifying Moments at the 2017 Yard Party for Art. In October of 2017, my first solo museum exhibition, Gravitation, opened in the Blumberg Gallery at the museum. The museum has been extremely generous and encouraging of my career as an artist during my transition to graduate school. I was chosen to join the team of mentors for the 2018 Art Box, assisted on installs of both the Alabama Reckoner and B18 exhibitions, and was shown tremendous support during the installation process of the Dothan Rotary Club Mural. In my studio practice, when I apply to juried exhibitions I look at the venue and the juror before sending in my applications. I enjoy participating in juried exhibitions due to the fact that there is a variety of artwork that gets accepted into a show such as the B18. I have been making artwork for eight years. Fun fact- I didn’t start producing artwork until I started attending classes at Wallace Community College. I believe that if a community wants to thrive, it needs to support its arts community. The arts are all around us. Supporting local makers, designers, fine artists, musicians etc. is what makes a community grow. Just as any business, an artist needs the support from their community and its leaders. I recently moved from Dothan, Alabama to Denton, Texas to pursue my Masters in Fine Arts in Sculpture at the University of North Texas. Moving to an area just north of Dallas, I immediately feel the effect that the support for the arts has on a community. Denton’s art community receives its support from many sources located on their doorsteps. My wish for every community both large and small is that you show your love to the art that surrounds you and your community and give it the support it deserves. Getting in the car, I drive to a place filled with an abundance of nature, I detach from technology, and with sketchbook in hand, I walk until I feel as if there is a sense of harmony that consumes me. Nature, vigorous textures, driftwood, observation of people and their patterns, form, barnacles, wind and water currents, memory, bird personalities, these are things that inspire me. 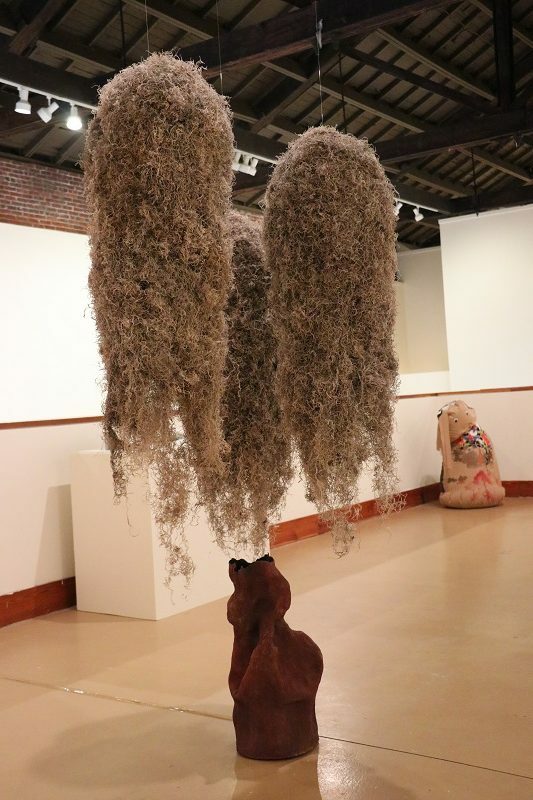 Artists Nick Cave, Claire Morgan, Ruth Asawa, Kendra Haste, and Tim Hawkinson influence me.